SriLankan has introduced a twenty-minute gate arrival cut off time to make passengers ‘Ready to Fly’. If passengers fail to arrive at the gate by that time they wil be offloaded, more on that later. 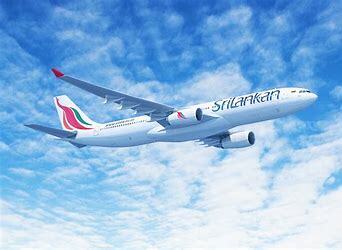 In another recent announcement, SriLankan Airlines has confirmed it has extended its codeshare deal with Air India. Under the deal, the airline will apply the Air India code to a number of flights from its home of Columbo. Air India will also add the SriLankan flight code to various departures from Delhi, Chennai and Mumbai. SriLankan Airlines flights that now have the Air India code/flight number as well. Air India flights that now have the SriLankan Airlines code/flight number as well. SriLankan Airlines recently announced it would be closing departure gates at least twenty minutes prior to flight departure times in an effort to improve the punctuality levels of its flights around the world. 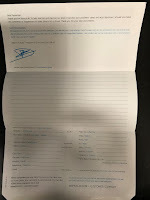 SriLankan Airlines has asked its passengers to now be ‘Ready to Fly’ by arriving at the departure gate at least 40 minutes prior to the scheduled time of departure. It says for an aircraft to depart on time, the carrier's staff work hard on all aspects of pre-flight preparation, including closing the doors in advance of scheduled departure time and making sure that the aircraft is ‘Ready to Fly’. Therefore it wants passengers to be ‘Ready to Fly’ as well, so if passengers are not in the departure gate 20 minutes prior to the time of departure, they will be off loaded and checked baggage will be removed from the aircraft.